The Peep Out Training yard, offers unique and bespoke horse experiences. 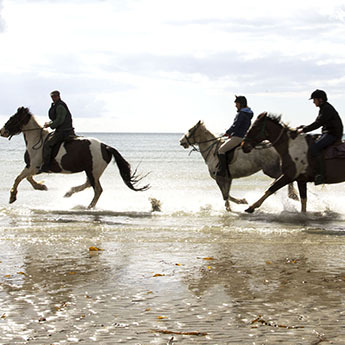 We specialise in exciting 'Riding for Riders', Bespoke Riding Holidays and Swimming with Horses. 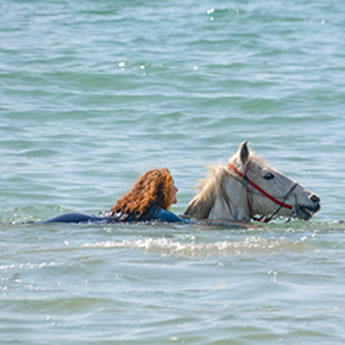 Swimming with horses is a unique and unusual experience, at once exciting, beautiful, mystical, therapeutic and fun. Our herd are fully trained to swim in the bay. Riders and non riders, young and old, fit and unfit, can all benefit from this amazing experience as each swim is tailored to it’s riders needs and requests and each horse is accompanied by its own CSH trained handler. Bespoke rides and holidays for experienced riders, give you and your friends the opportunity to experience our stunning landscape as if you are riding your own horse with trainer Chris Cooke leading the expeditions. Rides can be one to one, pairs or small groups of up to 4 maximum. We tailor the experiences to fit your needs so call us for a fitting if you want a unique and challenging riding experience. 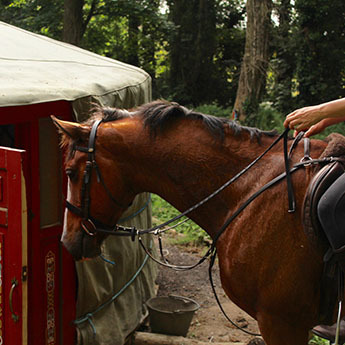 Check out the whole list of possibilities we offer, from western riding, to foraging, to carriage driving.  However, all of these experiences have one thing in common, each activity is based around our policy of working ‘in the moment,’ to find the best ways to suit the individual needs of riders and our Peep Out herd alike, tailor made to suit all involved. To swim, ride and drive with these horses feels like an absolute privilege. Come along and join us for these life enhancing experiences.